Wood, beads, H 69 cm / 27.2 in. 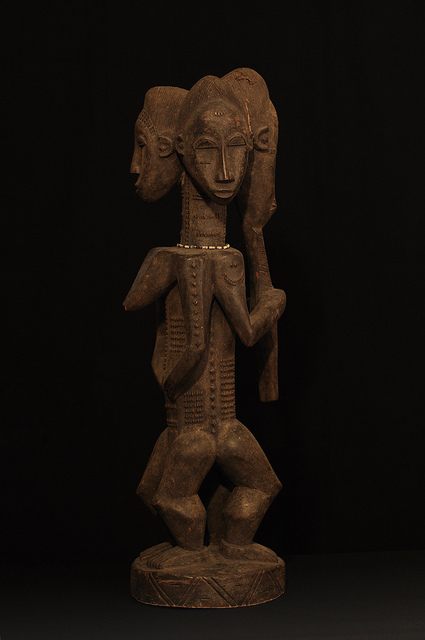 This rare sculpture of the Baule represents the accompanying partner that everybody is believed to have in "the other world" before being born - the elongated face represents the bush spirit. 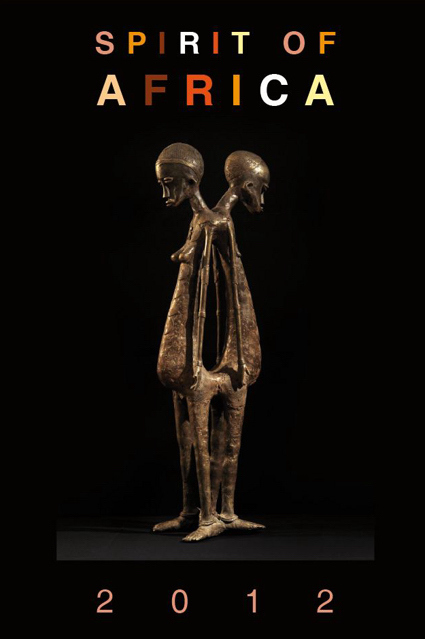 The outer shape combines to a harmonious co-existence of three heads on two bodies. 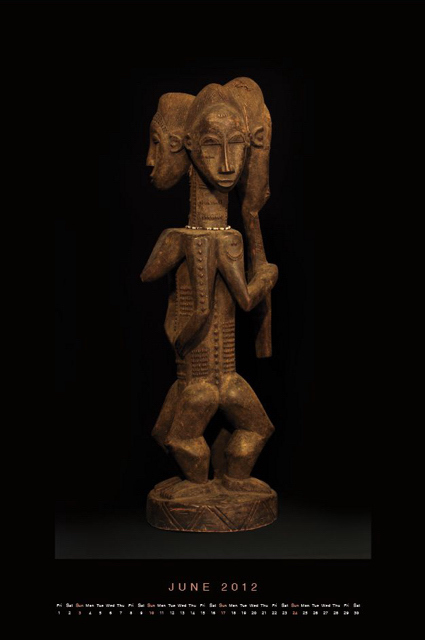 The bigger head represents the bush spirit. Only highly developed carving skills can lead to such delicate patterns as in the hairdress and scarifications of this sculpture.